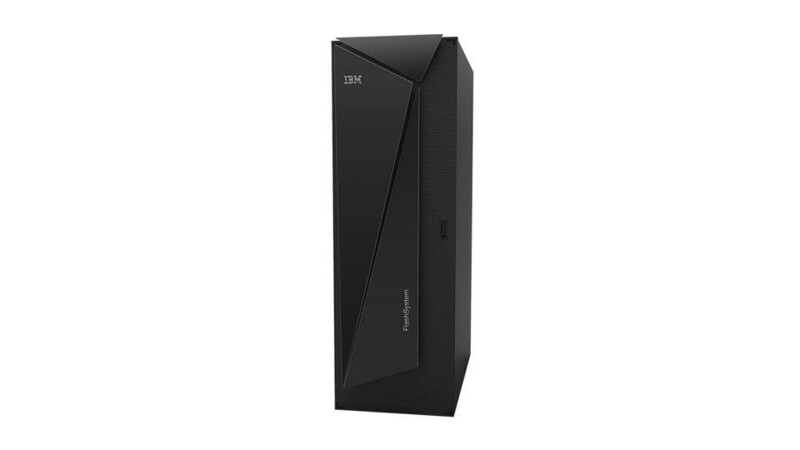 IBM FlashSystem® A9000R is an all-flash grid storage solution that provides the consistent, reliable and efficient performance you need for dynamic data at scale. With the extreme performance of IBM FlashCore® technology, FlashSystem A9000R delivers an excellent platform for rapidly growing cloud storage in large mixed workload environments. You gain optimized economics delivered with comprehensive data reduction and fully integrated storage services – including encryption, snapshots and replication. Includes cloud-optimized QoS features and multi-tenancy support. Addresses common cloud management challenges including noisy neighbors and highly variable workloads. Provides automatic load balancing and even resource utilization. Delivers consistent, extreme performance to meet SLAs for unpredictable, data-intensive workloads. Allows better capacity planning with patented advanced heuristics that analyzes data in real-time, to produce accurate de-duplication and capacity estimates, without any performance impact. Provides storage services including snapshots and replication. Integrates with existing infrastructure, including IBM Cloud Private, Kubernetes, Docker containers, VMware vSphere and more. Delivers greater than five-nines availability, giving you the confidence you require in your infrastructure. Streamlines management of more than 100 FlashSystem A9000 or FlashSystem A9000R systems from a single pane of glass. Enables centralized, consolidated administration of multi-petabyte environments.